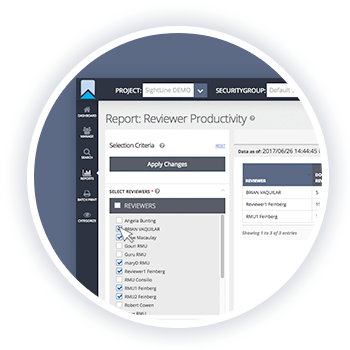 Every review should aim to achieve cost savings by increasing reviewer speed without sacrificing coding quality. 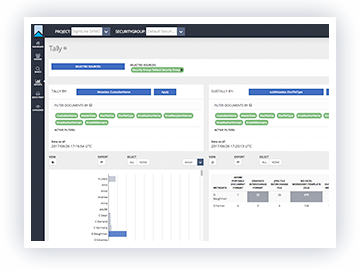 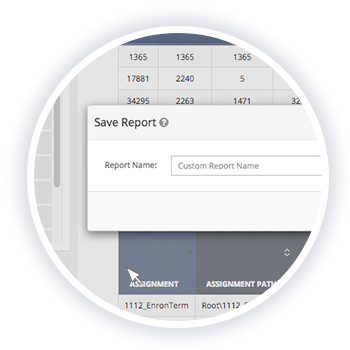 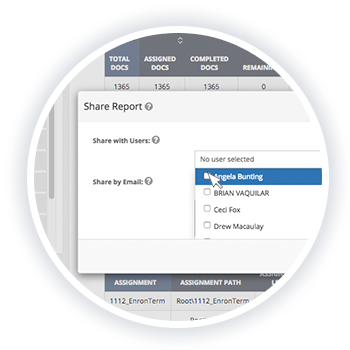 Sightline is designed from the ground up to achieve this goal with a re-imagined process and user experience focused on placing reviewer efficiency and accuracy first. 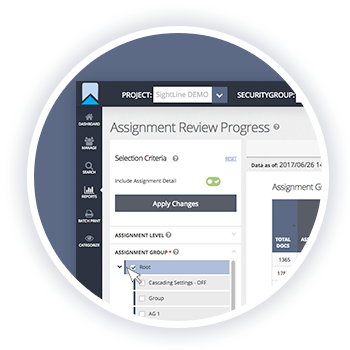 With a fast-loading, fully integrated, near-native document viewer, the reviewer experience is optimized and feels intuitive — regardless of document size or number of pages. 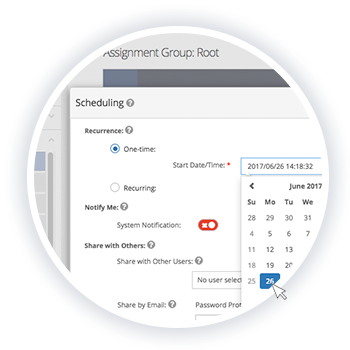 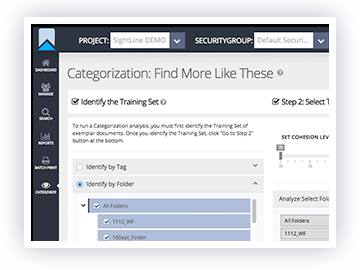 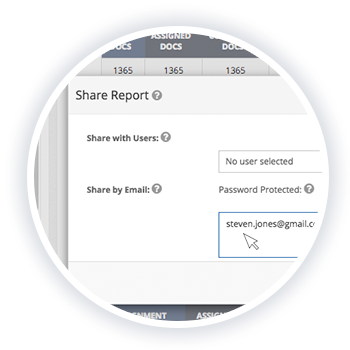 Review managers maintain control of the entire reviewer experience including search hit highlighting, annotations, native download or exporting and more. 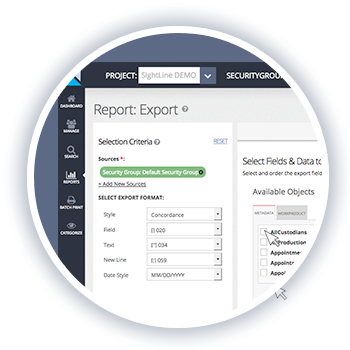 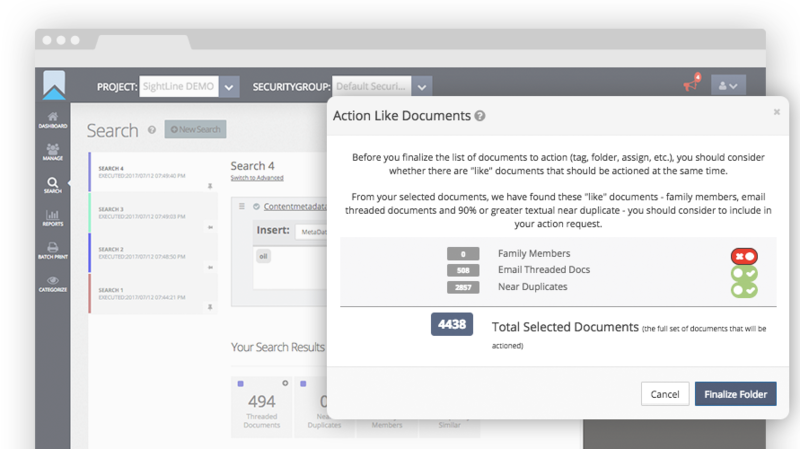 To improve workflow efficiency, users review and redact without the need to pre-TIFF. 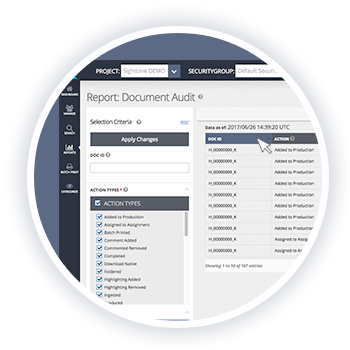 Sightline works to improve efficiency by reviewing less nonresponsive material, identifying collection gaps early on and finding more documents like those you know to be useful. 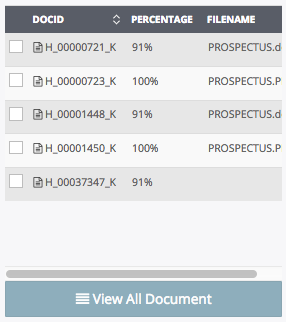 Tally pivot report that shows likely nonresponsive material in a By Custodian, By DocFileType pivot. 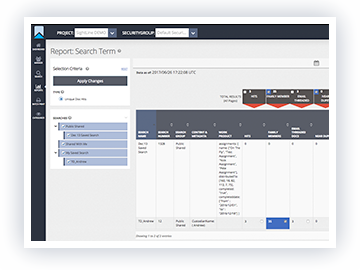 Search Term Hit Report compares various search variations, with selections ready for actioning. 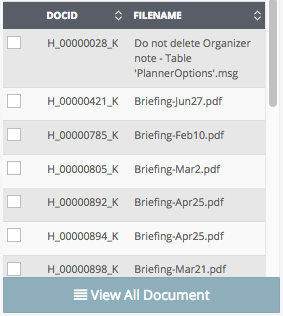 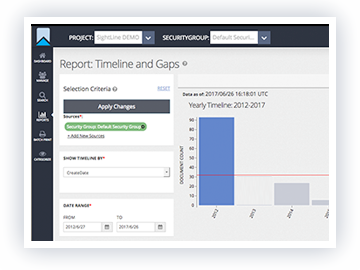 Using Timeline & Gaps report to assist in identifying clear holes in collected data for periods of interest. 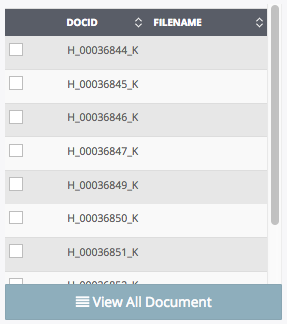 Expand your aperture to cover other documents of interest and relevance by using the Categorization: Find More Like These tool. 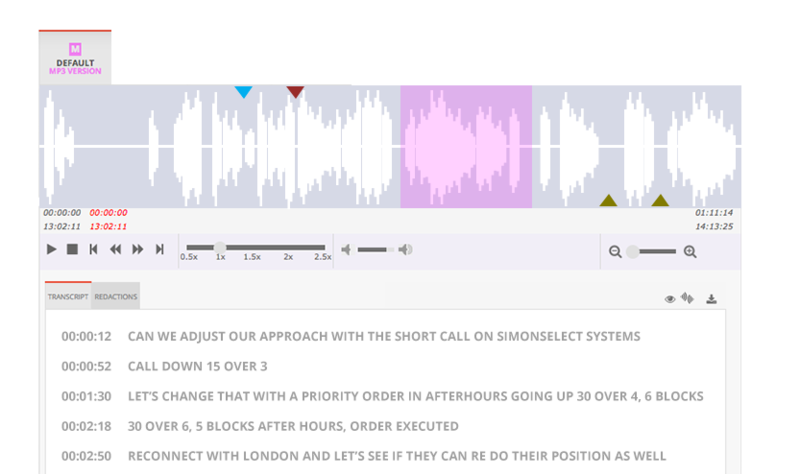 Skip to phonetic hits or spot extended non-talk periods in audio. 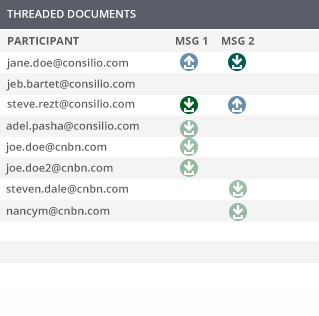 Add remarks or embed redactions. 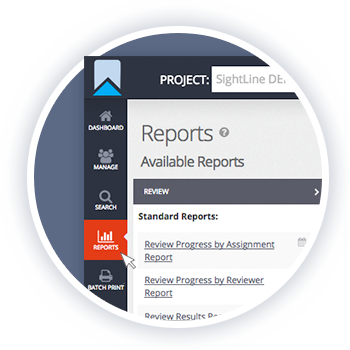 Sightline integrates Enhanced Audio Review directly into the review experience.